Module A-180-1 is a simple multi-connector. 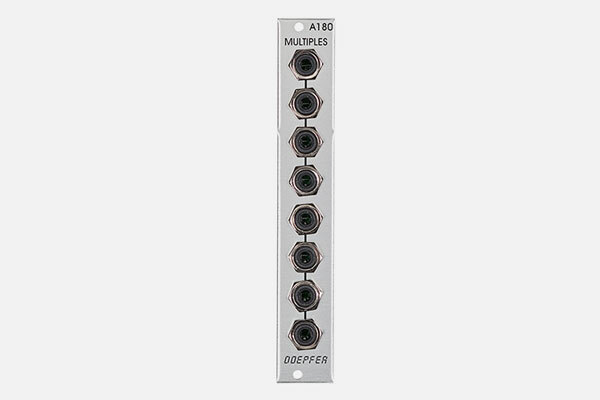 It has eight inter-connected sockets, so that you can patch more inputs or outputs into any module. The sockets are split into two groups of four. If an 8-fold multiple is required a bridge has to be soldered at the pc board. Even though the A-180-1 is a very "primitive" low-level module it is required very often. Within a big A-100 system sufficient multiples should be planned.